During his 24 exciting years in International cricket, there was hardly anything that Sachin Ramesh Tendulkar did not achieve in the cricket field – fame, recognition, respect, fear in opponents’ heart – he had it all. No doubt why he was always undisputedly referred to as the Bradman of modern cricket. And as far the cricket-crazy Indian populace was concerned, he was the God, the master blaster, and what not! However, the greatness of one of the most beloved son of the soil India has ever produced, is not confined to the cricket field only. He kissed the final goodbye to all forms of cricket at the Wankhede Stadium, Mumbai couple of days back, thus closing the curtain on a glorious career that started from an an early age of mere 16. As a homage to the batting maestro, we are shedding light into some of the most important success lessons to learn from Sachin’s lengthy cricket career. This is indeed the most important aspect that you ought to excel in whatever it is that you are pursuing. The reason why Sachin could accomplish so much in cricket because he was always passionate about the game – even after dedicating over two and half decades on it. Being passionate about your goal is always as much important as hard work, which incidentally happens to be the second entry in this list. There’s hardly any doubt that Sachin always stood out even amongst the brightest of the cricket players across the world. But have you ever wondered what is it that makes him so special? The answer would obviously be years and years of hard work. Despite all the accomplishment, Sachin never stopped practicing as much hard as he had done in the early years of his career. The bottom line, therefore, is – hard work is the pillar of success no matter which profession you are in. There’s simply no shortcuts whatsoever. If you are a keen follower of the game, you must have seen many renowned cricketers snap on or off field for some reason or the other, but Tendulkar was never one of them. Besides his incredible talent, what makes Sachin one of the most respected faces in the world cricket is his quiet and calm nature. This is, in fact, another key ingredient for success. Sachin’s humble and down to earth nature is something that adds even more charm not just to his cricketing abilities, but also to his overall persona. The trick here is to never allow your success get into your head. 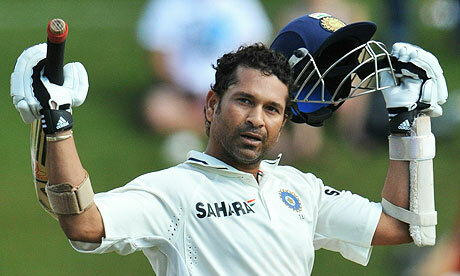 Despite all the success, Sachin’s lengthy career also witnessed its own share of misfortunes. In fact, at one point, his career was at the risk of succumbing to injuries. But he never let those down times affect his morale – he kept on trying with full dedication and the rest, as they say, is history. The morale here is – never give up on your goals no matter how tough the challenges thrown at you are.